Shoreline Endodontics | Do Nice Dentists Finish Last? Do Nice Dentists Finish Last? Walking that fine line between cruelty and kindness! Thank you for visiting us at Shoreline Endodontics, Groton, CT! Ever heard the phrase, “you’ve gotta be cruel to be kind?” It has never been truer than when referring to gum disease treatments. Periodontal disease affects as much as 80% of US adults, but the way dental practitioners handle periodontal treatments may be part of the problem. Patients avoid periodontal treatment due to lack of treatment urgency, not fully understanding necessary treatments, and money. Many dentists hesitate to fully explain and recommend periodontal therapy because they fear patients will simply cancel appointments due to the added cost. Instead, dentists tend to try the “nice” approach – recommending periodontal appointments every three months but billing them as regular dental cleanings during six month checkups. However, by changing the focus of periodontal disease treatment to communicating clearly, emphasizing assessment and prevention, and working with patients to maximize insurance benefits, dentists can better equip patients to receive the dental care they need. Gum disease is caused by a buildup of plaque around or below the gum line. These plaque deposits harden into tartar which can irritate gum tissue leading to gingivitis. This is a mild form of gum disease that is easily treated at your regular dental checkups. However, left untreated, gingivitis can develop into periodontitis. This more advanced form of periodontal disease is detrimental to oral and whole body health. 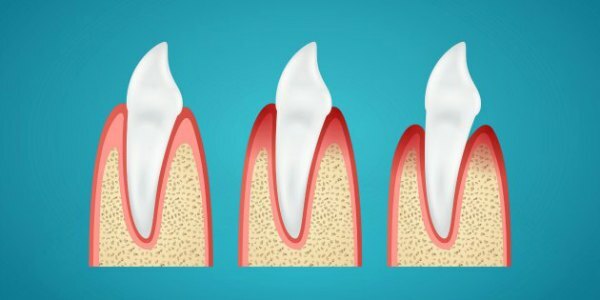 Atherosclerosis and Periodontal Disease: Is There an Association? Would you like to occasionally read about the more interesting aspects of your dental health?